Point2 Homes gives you far more than a simple list of houses for sale. Get instant access to a lot of relevant information about Charlottetown, PE real estate, including property descriptions, virtual tours, maps and photos. The search results pages also have a wealth of information on Charlottetown, PE, if you scroll all the way down. 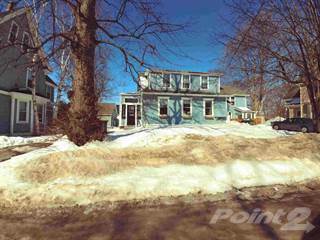 There are 118 houses for sale in Charlottetown, PE. 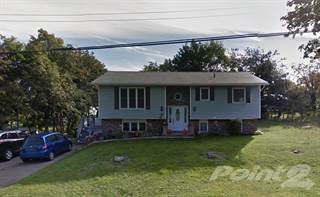 Searching homes for sale in Charlottetown, PE has never been more convenient. 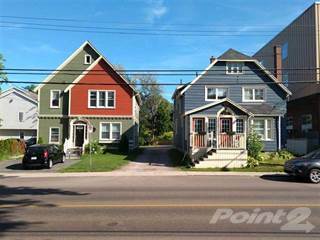 With Point2 Homes, you can easily browse through Charlottetown, PE single family homes for sale, townhomes, condos and commercial properties, and quickly get a general perspective of the real estate prices. Also, you’ll never miss a bargain if you filter listings based on house price drops in the past six months. Use the map view to find Charlottetown, PE homes and apartments for sale, based on amenities or city features that you may want close by. You can close in on a specific neighbourhood or area by simply drawing around them with the polygon or radius tools. Stay informed about the latest entries on the real estate market by saving your searches. This way, you get new listings in your inbox, daily or every week, based on your preferences. If you’d like to get in touch with a professional, agents are displayed next to their listings, and they’re easy to contact through the online forms. If you want more options, you can click the Tools tab and Find an Agent, and you’ll get a list of helpful and knowledgeable real estate agents in Charlottetown, PE. Visit the Point2 Homes blog and you can find up to date expert advice on many markets throughout Canada, regular market reports, neighbourhood scoops in cities throughout the provinces, real estate deals and useful recommendations. Charlottetown is a Canadian city in the province of Prince Edward Island. It has a population of over 34,000 people and it stretches over an area of 44.33 square kilometers near the Gulf of St. Lawrence and the Northumberland Strait. The climate in the city varies, with spring and summer being comparatively cool while the winters are long and tend to be comparatively warm. Charlottetown’s workforce has many advantages. Much of the workforce sticks with a company for many years and the average amount of time spent in a position is 8.5 years. Another advantage is thatthe city has one of the lowest costs of doing business in the country. The city has shown economic growth each year since 2005. Some of the larger employment sectors in Charlottetown are biotechnology, financial services and tourism. The biotechnology sector is growing rapidly and more companies from this industry are setting up shop in Charlottetown. The financial services industry in Charlottetown is also a sector that is growing with many companies making the city their home to take advantage of the workforce. The largest industry in the city is tourism. The city attracts many people with its beauty, events and entertainment. The city also provides a wide selection of tours and excursions. Being close to waterways, different types of boat tours are available. These tours can include anything from sightseeing to activities like flyboarding. The boat tours show off the unique area of Charlottetown. The city is divided in four main areas: the neighbourhood of Springpark, the East End, the West End and Brighton. The neighbourhood of Springpark is located near the University of Prince Edward Island. There are many parks in the area as well as places to shop. Schools can be found here as well as plenty of housing. There are places to dine and other amenities close to the area. The East End is located along the Hillsborough River. There is a mix of housing and businesses here. Holland College and the Charlottetown Event Grounds are located towards the south of the area. Neighbourhoods such as Stonepark and East Royalty are found to the northeast of the area as well. The West End includes the Downtown area of the city. There is housing in the southwest and the Downtown area is towards the northeast. In the Downtown core there are shops, places to dine, and other amenities. Attractions also line the area with a historic site and a theatre along Queen Street and Richmond Street. Brighton is located to the west of the city along the North River. The area is largely occupied by homes, with schools and parks nearby making it a great community for families. The Brighton Lighthouse is located by the river. There are a few services scattered throughout the area and Victoria Park is located towards the south. Springpark has many single-family homes as well as land for sale by the river. The homes are a moderate size and many have multiple bedrooms and bathrooms. Most properties have small yards making the homes here a great place for children and families. Most of the land that is for sale is by the water. The land is perfect for building a house or a cottage. In the East End you’ll find apartments, condominiums, land, single-family and multi-family homes as well as commercial space. Most of these properties are very affordable and are quite large. Many of the homes have attached garages. The West End includes single-family and multi-family homes, condominiums and commercial space. Homes in this area range in size, but most are a moderate size and price. Renting is an option that is quite affordable here. The commercial properties are perfect for retail and office space. Brighton has single-family and multi-family homes. These homes vary in size and price. Most homes have multiple bedrooms and bathrooms as well as a small yard surrounding the home. Many of the homes are quite affordable and located in a great community. There are two public school boards in Charlottetown: Public Schools Branch and La Commission scolaire de langue française.The former has 16 schools under their management in the citywhile the latter has one. There are two post-secondary options for students in Charlottetown. The University of Prince Edward Island and Holland College are both located in the city for students who want to attend classes close to home.